One of the most successful manufacturers at Road Atlanta is Mazda. The Mazda RX-7 was a dominant force in IMSA sports car racing, winning numerous races and championships. But the Mazda success story began in the 1970s with the rotary powered Mazda RX-2 and RX-3 models. Pat Bedard of Car & Driver magazine prepared a Mazda RX-2 project car for the IMSA sedan series, and its immediate success including a win at Road Atlanta in 1973 brought rules that penalized the rotary engine. Walt Bohren purchased the car and campaigned the RX-2 successfully, winning at Road Atlanta in 1976. Atlanta-based racer Jim Downing and South Carolinian Roger Mandeville were also pioneers of the Mazda rotary, winning numerous races in the 1970s. Dozens of manufacturers have competed at Road Atlanta over the past four decades, but one stands out as a major force in every era. Porsche began its winning ways at Road Atlanta in 1973 and has never looked back. Following the demise of the IMSA Camel GT series in 1993, the new World Sports Car (WSC) concept began the following year. The WSC formula emphasized open cockpit prototypes, unlike the out-going GTP cars. Gone were the days of the Porsche 962, Toyota Eagle, Nissan ZXT GTP, Jaguar prototypes and others. Some former GTP cars were being “converted” to WSC specs, but the big news was Ferrari constructing a purpose-built WSC entry, known as the Ferrari 333SP. Built in conjunction with Dallara, it would be the first Ferrari sports racer in many years competing for an overall victory. 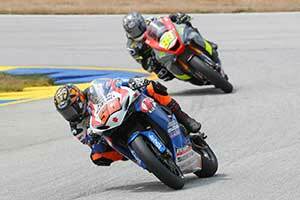 What does Road Atlanta and Mick Jagger Have in Common? With Halloween this month, I thought it would be a great time to share some of the campfire ghost stories of the past. This is all in good fun … maybe you have a tale or two of your own to add! The following is a story that SCCA kindly has given me permission to use in the blog from their June 1985 issue of Steeringwheel. In my last blog I mentioned how I personally came full circle through my association with Champion Spark Plug in Toledo and the events that led me here to Road Atlanta in time to celebrate both of our 40 year milestones (my 40th birthday high school reunion and Road Atlanta’s 40 year anniversary)! Now join me in reminiscing about the odd chain of events that put Road Atlanta on the map and gave us the opportunity to showcase our amazing world-class road course. The rest is history! 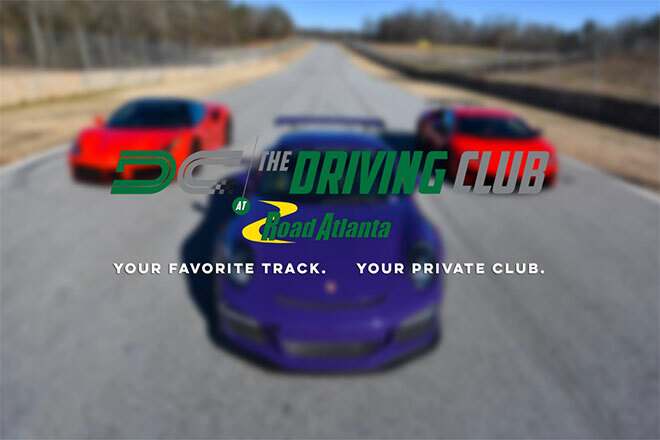 Carol’s Corner: Road Atlanta: 40 Years and Counting!